As its name indicates, PDF (short form for Portalbe Document Format), is an easy-to-use and independent file format which can be opened independent of any application software, hardware, and operating systems. The PDF file format has emerged as a standard for sharing documents between users or posting information to the Internet in recent years across Windows PC, Mac computer, Anroid mobie and tablet, iOS mobie and table, etc. PDF files can be ones that are generated from an electronic source – called native PDFs – such as a Word document, a computer generated report, or spreadsheet data. Such PDFs have an internal structure that can be read and interpreted and can be copied and pasted easily as well as be converted to word or text for edit. Some PDF files are converted by scanning from physical paper document into an electronic form still. We called such PDF scanned PDFs. Scanned PDFs can save you milions of time without typing word by word to get the whole content into digital. However, the content of PDF cannot be copied and pasted. And it is quite hard to convert the scanned PDF to word or text. To convert scanned PDF documents into an editable word or text, you need a PDF converter with OCR software built in to analyze the “image” of each character and match it to an electronic character-based file. This article introduces a powerful Scanned PDF Converter for Windows 10, Windows 8 and a step-by-step guide to convert scanned PDF to Word, Text, EPUB, Excel, HTML in Windows 10, Windows 8. PDF Converter Pro is the best scanned PDF converter for Windows 8 and Windows 10 to convert scanned PDF, native PDFs to editable Microsoft Word, Plain Text, Excel, PowerPoint, Rich Text Format, and images. 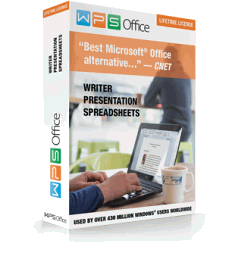 It is a must for people who want to work more smartly in the office or who need to get PDF content quickly. With the built in OCR software, PDF Converter can easily convert scanned PDF to text-based Word, Text, Excel, PPT, EPUB, HTML, and RTF formats. PDF Converter Pro offer powerful conversion which enables you to convert native PDF to Word, Excel, PPT, EPUB, HTML, RTF, Text and images (.jpg, .png, .gif, .bmp and .tiff). PDF Converter Pro can 100% keeps original text, images, graphics and formatting. Scanned PDF Converter is fully compatible with Windows 10, Windows 8, Windows 7, Windows Vista and Windows XP. Free download Scanned PDF Converter for Windows 8. Install and launched it. Click the quick start icon on the desktop to launch the scanned PDF Converter. Drag and drop scanned PDF files to the software. After the scanned PDF is imported, a dialogue box will pops up, reminding you of selecting the right language for the PDF file and enabling the OCR function. All you need to do is to choose the language and click “Enable OCR”. Click the “Output Format” drop-down list and choose desired output format. To convert scanne PDF to Word, choose “Microsoft Word” as the output. To convert scanned PDF to Text, choose “Text” as the output. To convert scanned PDF to Excel, choose “Excel” as the output. To convert scanned PDF to EPUB, choose “EPUB” as the output. To convert scanned PDF to html, choose “html” as the output. Click the “Convert” button to convert scanned PDF to Word or convert scanned PDF to text document or convert PDF to Excel, EPUB on Windows 10 or Windows 8. It’s that easy to convert scanned PDF to Word, Text, Excel, EPUB on Windows 8 or Windows 10 with the help of PDF Converter Pro.